The Ultimate Sports Parent Radio Show at www.youthsportspsychology.com interviews Steve Shapiro, coach for the Phoenix Mustangs, a non-profit youth hockey organization. Steve Shapiro discusses the challenges young athletes and parents face with playing time and how parents and players should discuss playing time with their coach. 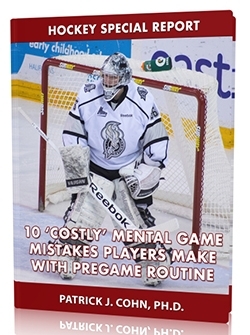 Mental game coach Dr. Patrick Cohn provides commentary. For more interview with youth sports experts at The Ultimate Sports Parent, visit Youth Sports Psychology website.